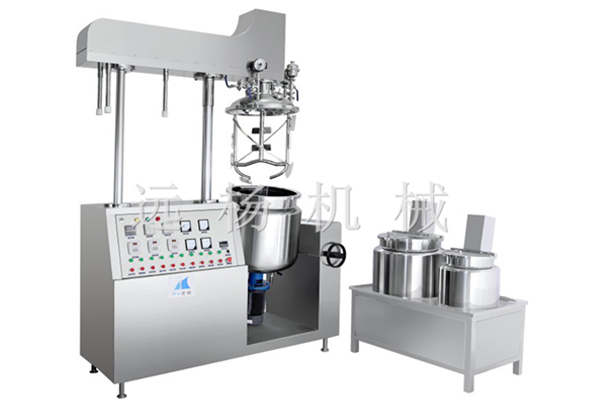 200L vacuum emulsifier homogenizer for nail polish mixing machine means that when the materials are under the vacuum condition, it makes use of the high shear emulsifier to distribute one or several to another continuous phase rapidly and evenly. It is widely used for Mixing, Heating, Homogenizing of Cosmetics, Food, Pharmacy, Chemicals etc. Of cosmetics and pharmaceutical industries. It mainly includes the wax phase tank, water phase tank, emulsifying tank, operating platform and electricity controlling cabinet. Shipping: 3-7 days for Stock Equipment,15-30 days lead time for customized Equipment. By Sea or air freight etc.